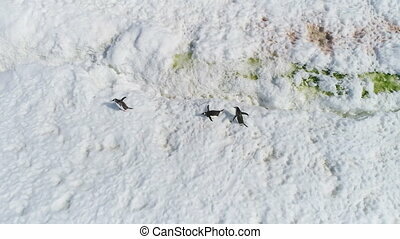 Aerial flight over Antarctica penguin colony. 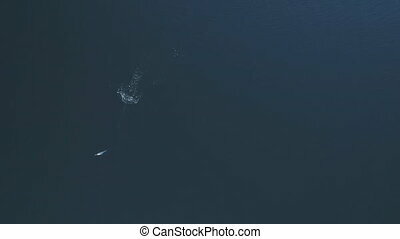 Zoom in drone shot. Top down overview. Winter landscape. 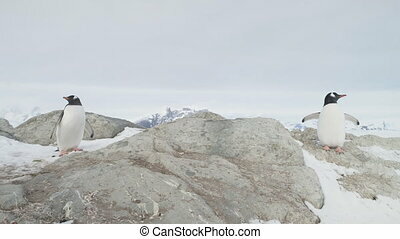 Snow covered Antarctic land. Raging ocean. 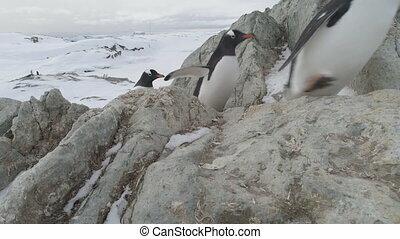 Gentoo penguins habits. Wilderness. 4k footage. 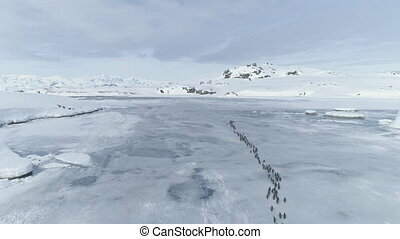 Penguins Migration Through Antarctica Peninsula. 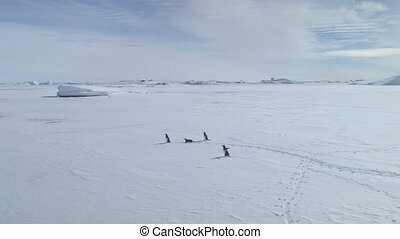 Aerial Drone Flight Over Snow, Ice Covered Surface. 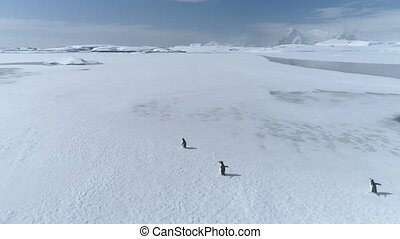 Gentoo Penguins Walking On Frozen Land. Polar Mountains Background. Winter Landscape. 4k Footage. 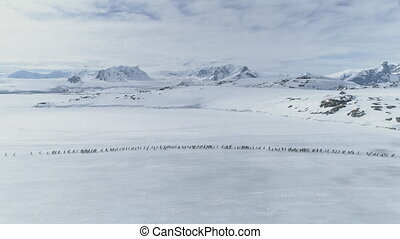 Aerial View over Penguins Migration Colony in Antarctica. 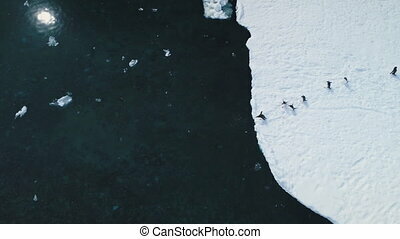 Sunset Flight Drone Shot of Gentoo Penguins Walking on Snow Land. Habits Of Wild Animals. Polar Winter Landscape. Wilderness. 4k Footage. 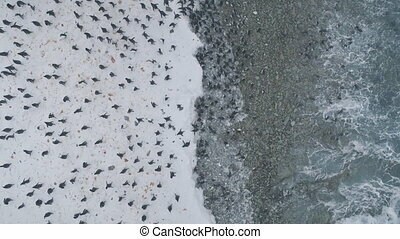 Aerial Flight Over Penguins Colony Migration. Drone Shot. 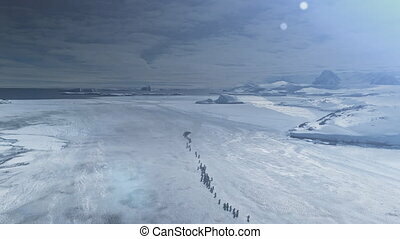 Antarctica Landscape. White Winter Background. 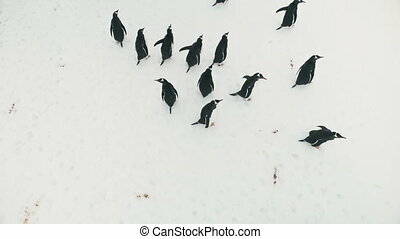 Moving Flock Of Gentoo Penguins On Ice Covered Land. Mighty Polar Snow Mountains. 4k Footage. 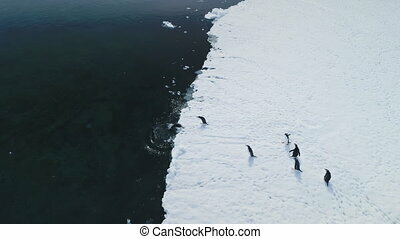 Aerial view of Antarctica penguins colony. Walking activity. Winter frozen landscape. 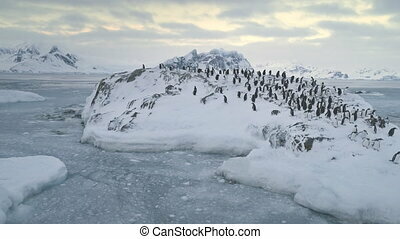 Group of Gentoo penguins stand on ice and snow covered hill in polar ocean. 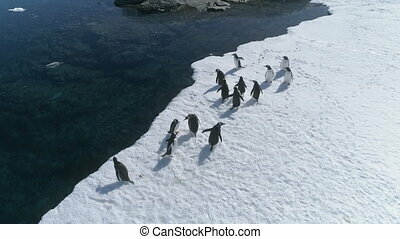 Antarctic wildlife. 4k footage.